Any injury can be painful, but a burn injury can involve chronic pain in many cases that only powerful pain killers can minimize. 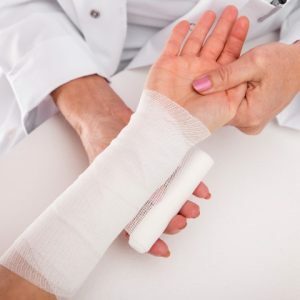 A victim who suffers second and third-degree burns may require numerous skin grafts and other treatments over a long period that may still leave disfigurement as well as physical difficulties and substantial emotional harm. Second-degree burns affect the epidermis and dermis or lower level of the skin. These types of burns cause redness, swelling and blistering. Blisters can pop with skin appearing wet and may result in thick, scab-like tissue developing over the burn area. Skin grafting may be necessary for severe cases. Third-degree burns are full thickness burns and affect the deeper tissues. In severe cases, victims experience no pain since there is nerve damage. Your skin can take on the appearance of a waxy or white color or be dark brown or charred. Third-degree burns can lead to infections, blood loss and severe shock that can lead to death. Tetanus is a complication of a second or third-degree burn. This is a bacterial infection that affects the nervous system. You also risk suffering hypothermia, or dangerously low body temperature from substantial loss of body heat from the burn, and hypovolemia, which is dangerously low blood volume from bleeding. Many burn cases result from the negligence of the owner of the premises where the victim was injured. This could be a store, a friend’s home, a residence or at work. In residential fires, you may be able to collect compensation if the landlord failed to install smoke detectors or provided defective ones or was otherwise negligent in failing to prevent a fire hazard. If you were injured in the course and scope of your employment, you will likely be compensated through workers’ compensation since the negligence of the employer or of yourself is not an issue. You are limited in these cases since you cannot collect for pain and suffering, which is often the highest award category in a personal injury case, and your wage loss is restricted. You may still bring a personal injury action along with your workers compensation claim if another entity, such as another contractor or a manufacturer or designer of a defective product caused the injury. 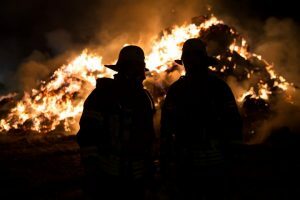 These are issues to discuss with a burn injury lawyer. In any case, consulting with a burn injury lawyer soon after the accident is essential if you wish to pursue a claim for compensation. Neil Burns is a partner at Burns and Jain and is a Boston personal injury lawyer who has handled numerous complex cases including burn injury cases throughout his over 30-years of practice. Choosing the right personal injury lawyer for you is essential if you want to collect the compensation your case deserves. Call burn injury law firm Burns & Jain for a free analysis of your personal injury matter.